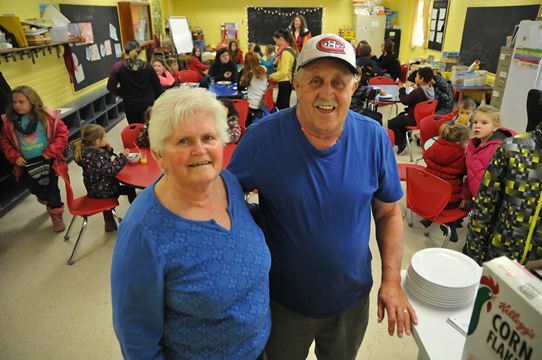 A great tribute to two of the finest people you'll ever meet...Vivian and Paul Brioux. The Briouxs are the grandparents of one of our veteran Senior players with the Kawartha Komets Special Needs Hockey Program, Michael Brioux. CONGRATULATIONS for all you've done for the past 16 years, helping out with the breakfast program at St. John School. You've made a difference in many lives! Click here to read this positive story.